"Customer A" is asked to share their referral link on Facebook or Twitter. If one of their friends, "Referral B," places their first order, we'll give "Customer A" points & send them an email. The points given to "Customer A" are issued in a "pending" status (on hold) until the order is invoiced or shipped. Start by creating a Customer Behavior earning rule. Go to Rewards > Rules > Earning Rules > Customer Behavior. Once you're in this section, click on "Add New Customer Behavior Rule." Enter a name for your rule, a description (optional), set the status to "Active," select which websites you'd like it to run on, and then click "Triggers & Conditions" in the left tab. Select "Referral makes first order" from the drop down, select which customer groups you'd like the rule to apply to, and click "Actions" in the left tab. Enter in how many points you'd like to give a customer when their friend makes their first order. Make sure you know how much your points are worth so you know how much you're giving customers for referring their friends. If you don't know how much to give, think about how much you'd be willing to pay to acquire a new customer using Adwords. For example: if you're willing to pay $5 in Google Adwords to acquire a customer, then you can give customers $5 worth of loyalty points for referring their friends. The next step is to make sure you have MageRewards configured so that the points that are given to a referring customer are issued in a "pending" status until the order is invoiced or shipped. A pending status means that the points are on hold. These points will be automatically approved once the order is invoiced or shipped. I would recommend setting points in a pending status until the order is shipped. The reason for setting MageRewards up this way is to prevent customers from referring themselves, placing an order, collecting the referral points, spending the referral points, and then cancelling the order. In the section "Initial Transfer Statuses" set Referral First Order to "Pending: Event" & in the Order Fulfillment section (below "Initial Transfer Statuses") set Automatically Approve Points on Shipment to "Yes." This will give any points for a referral's first order in a pending status, until the order is shipped and the points are automatically approved. 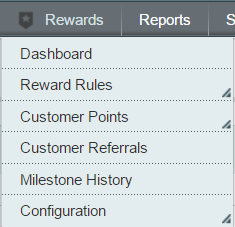 For even more security, you can set referral points to be in a pending status until you manually approve the points. This requires more work, but allows you to check every referral before customers can spend their points. If you want to manually approve each point transfer before a customer can spend them, then set Referral First Order to "Pending: Approval" instead. Now that we have the points rule set up, we'll style the email that tells "Customer A" that their referral has just earned them points. 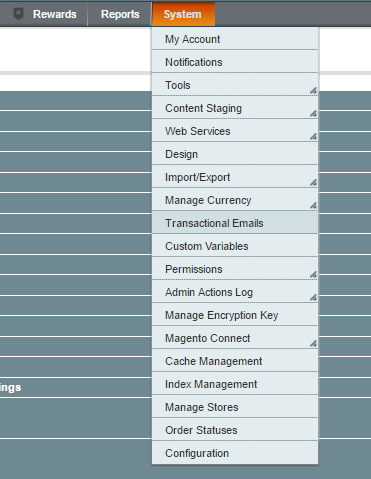 Like other MageRewards emails, these can be found in Magento's transactional email system under System > Transactional Emails. After this click "Add New Template." Under "Template" select "Customer Referral New Earnings Notification" and click "Load Template." Check this template by clicking "Preview Template" and make sure it's to your liking. Just like most emails, make sure this is interesting and has some graphics. If you set up your referral program so that points are manually approved before a customer can spend them, or if they are approved when an order is shipped, you should include this information in this email template. That way customers will know that they may not be able to spend their points immediately.